One of my daughters caught a cold last week, and now she's given it to me. We’re giving ourselves the best treatment known to science: rest. But to judge from the products offered at our pharmacies, you’d think there were dozens of options to treat a cold. In local pharmacies and in the medicines aisle at my local grocery store, I’ve found row after row of colorful packages, claiming to relieve cold symptoms, shorten the duration of the common cold,” and more. Some of these medications actually do treat symptoms, but none of them cure a cold. But mixed among them—sometimes side-by-side with real medicines—I found several products that don’t work at all. Most important for consumers: if a treatment says it’s homeopathic, then its ingredients do not have to be shown effective. “Homeopathic” simply means that the ingredients are listed on the Homeopathic Pharmacopoeia, a list maintained by homeopaths themselves. And if it contains supplements or vitamins, they too are exempted from regulation by the FDA, under a law known as DSHEA. Zicam’s website makes the misleading claim that “All of our Zicam® products are regulated by the FDA.” This is a common ploy of homeopathic drugmakers, claiming the FDA regulates them because the FDA could step in (as they've already done with Zicam) if consumers are being harmed. Unlike real drugs, though, Zicam has not been evaluated by the FDA for effectiveness or safety. So what the heck are they doing in the “cold medicines” section of the store? Another ingredient is pulsatilla, which “is highly toxic, and produces cardiogenic toxins and oxytoxins which slow the heart in humans.” Neither belladonna nor pulsatilla relieves cold symptoms. Being homeopathic, these ingredients are highly dilute, but I think I’ll pass on Coldcalm. 4. Umcka. Umcka is another homeopathic preparation that claims to “shorten the duration of common cold” and “reduce severity of cold symptoms.” Sounds pretty good—if only it were true. Umcka’s active ingredient is a plant extract called pelargonium sidoides, an African geranium. Interestingly, there have been a few experiments on this extract, some of which showed a small positive effect. However, a review of these studies reported that their quality was “very low," that all of them were conducted by Umcka itself, and that all of them were conducted in the same region of Russia. And remember: homeopathic preparations are so dilute that they contain little, and sometimes none, of the active ingredient. 5. Antibiotics. Okay, these are real medicine, and you can’t buy them over the counter at your pharmacy. But Americans take them in huge quantities to treat the common cold. The problem is, antibiotics don’t work for colds. When my daughter told her friends she had a cold, they wanted to know why she didn’t go to the doctor. Of course, doctors can’t do anything about a cold, and going to a doctor’s office just puts other patients at risk. My daughter knows this. But her friends were astonished to hear that we never take her to the doctor for a cold. It turns out that most of them had been to doctors many times for colds, often coming away with a prescription for antibiotics. Antibiotics treat bacterial infections, not viruses. Taking antibiotics unnecessarily can be bad for you: besides wiping out your gut flora, it increases the risk that bacteria will develop drug resistance. Perhaps if we changed the name to "antibacterials," doctors would stop prescribing them for viruses. I found Zicam, Airborne, Umcka, and Coldcalm for sale at Walgreens and Walmart. CVS and RiteAid don’t carry Umcka (good for them!) but do sell the others. When you get a cold, you develop immunity to it and you won’t catch it again.We keep getting colds because they're caused by more than 100 different viruses, most of them nasty little buggers that continually circulate in our population. Each time you catch a cold, you’re getting a brand new one. The only consolation is that once you’re over it, you won’t get that one again. 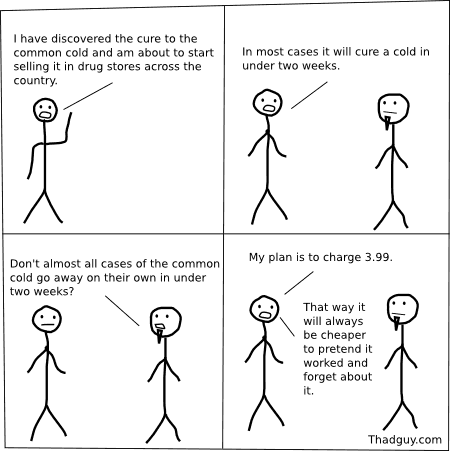 So if you get a cold this winter, save your money. Stay home, rest and drink plenty of fluids. And I have it on good authority that there is one treatment for the common cold that’s inexpensive, widely available, and really, really works: chicken soup. *In response to my inquiry, Zicam's manufacturer, Matrixx Initiatives, sent me some additional information. They pointed out that subsequent studies have not supported a link between Zicam and anosmia (loss of the sense of smell), and also that they permanently discontinued Zicam intranasal gel products ("Cold Remedy Nasal Gel and Cold Remedy Gel Swabs) in 2009, "despite the absence of any credible scientific data pointing to a potential link." They also argue that "the efficacy of zinc-based formulations is primarily a function of bioavailable dose" and that "Zicam products are formulated to ensure availability of the zinc." Arguing in favor of Zicam's benefits, they pointed to several studies that I'd already read, and I remain unconvinced and, as I pointed out above, Matrixx does not have to prove efficacy to the FDA because they are selling Zicam as a homeopathic preparation, which allows them to avoid FDA regulation. Let’s look at this statement. It’s almost obviously true: one only has to find a few overstated claims about the risks of flu, which isn't hard to do. But it’s also completely consistent to state that the vaccine is enormously beneficial and that the threat of influenza is very serious. See how that works? which is almost certainly true, but is meaningless from the point of view of public health. Of course the vaccine doesn’t have the same effectiveness in everyone. The point is that it works most of the time. As for the flu itself, Doshi says "I don’t agree with CDC’s portrayal of influenza as a major public health threat." So he and I have a serious disagreement there. I asked if he agrees with the anti-vaccinationist who are using his writings to claim that the flu vaccine is ineffective, and he replied that while "ineffective" is "too sweeping," he has found "no compelling evidence of hospitalization and mortality reduction in [the] elderly." 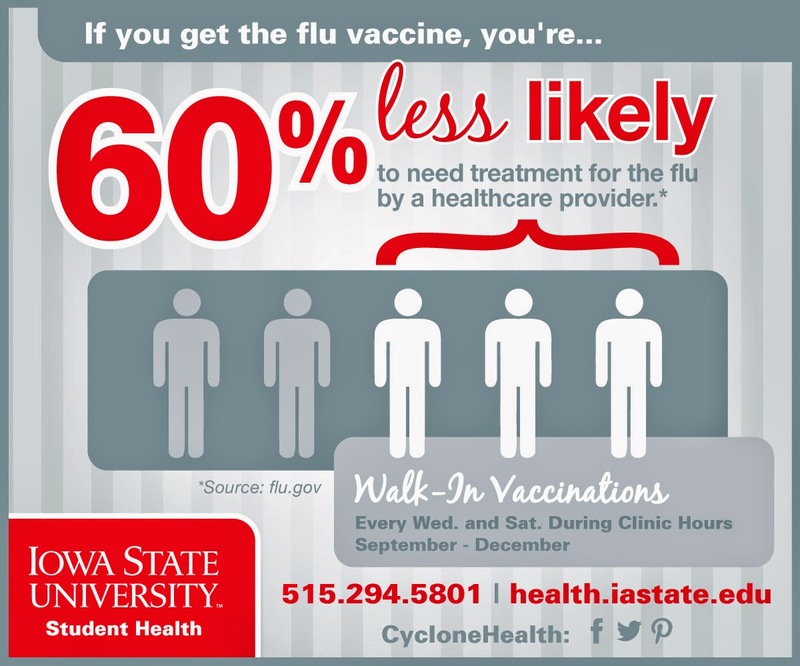 Doshi’s argument against the flu vaccine boils down to this: the vaccine is much less than 100% effective. This is undeniably true, and the research community makes no secret of it. In fact, many of us have repeatedly called for more research into better vaccines, in the effort to create a vaccine that is not only more effective, but that (like most other vaccines) only needs to be taken once for lifetime immunity. We’re just not there yet. Meanwhile, though, the annual flu vaccine is usually effective: a recent study showed, for example, that it reduced children’s risk of ending up in a pediatric intensive care unit by 74%.